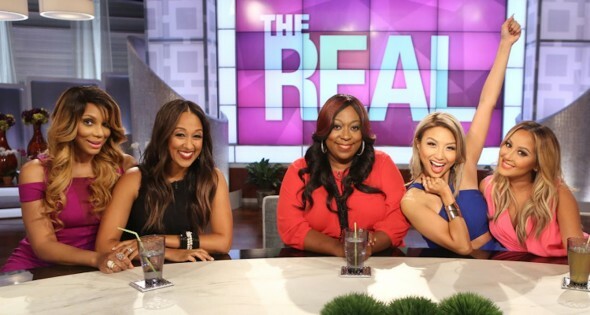 Things are getting real … real good for daytime talk show The Real. According to Deadline, the syndicated series has been picked up for not only a third season but a fourth as well. The series, which premiered in 2014, features a panel of Tamar Braxton, Adrienne Bailon, Jeannie Bai, Tamera Mowry-Housley, and Loni Love. The group discusses a wide range of topics in addition to interviews and segments with celebrity guests. The show is aired on FOX-owned TV stations and re-runs play on BET. What do you think? Do you watch The Real? Are you excited there will be more? More about: FOX TV shows: canceled or renewed?, The Real, The Real: canceled or renewed? I cannot stand this show; all the squealing, shouting, giggling – OMG save me! I would turn the TV off before I would watch this horrible waste of airtime.